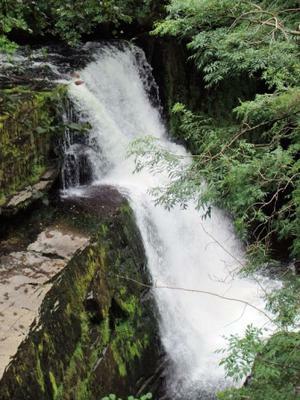 Located in the Brecon Beacons National Park in South Wales the waterfall Sgwd Clun Gwyn (Fall of the White Meadow) can be found on the challenging 5.5mile Four Falls Trail. 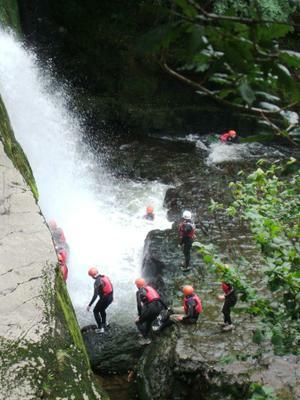 The River Mellte crashes about 40ft over two ledges. 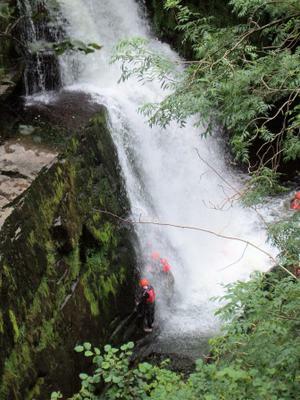 At times of high water this fall can extened all the way across the ledge and is a popular spot for Canyoning.